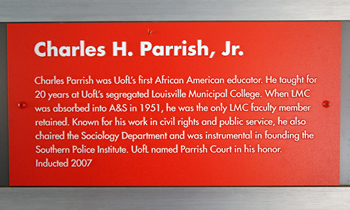 Charles H. Parrish, Jr. was the University of Louisville’s first African American educator and was also known for his participation in the civil rights movement and community work. 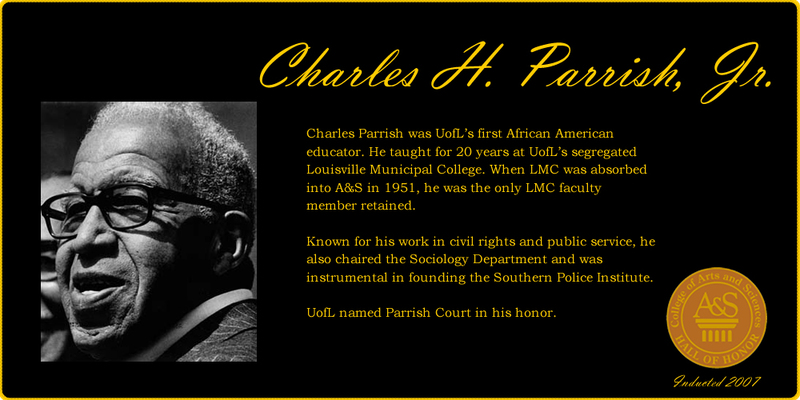 Born in Louisville, Dr. Parrish was educated at Howard University, Columbia University and the University of Chicago where he received his Ph.D. in 1944 in what was then a relatively new field of sociology. 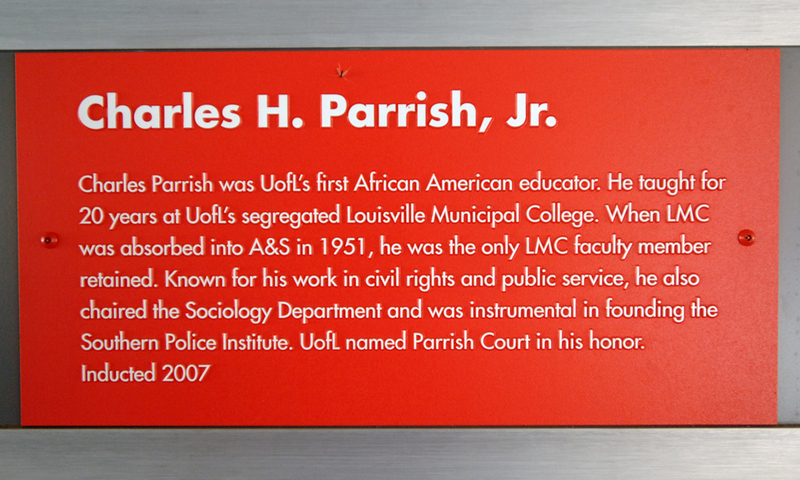 After teaching at Simmons College in the 1920s, Dr. Parrish taught for 20 years at Louisville Municipal College (LMC), a separate and segregated municipal college under the administration of the Board of Trustees of the University of Louisville. In 1951 when LMC was absorbed into UofL’s College of Arts and Sciences, Dr. Parrish was the only tenured black faculty member retained from LMC. 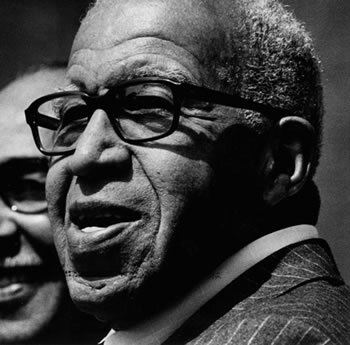 Thus he became the first black faculty member at UofL as well as the first African American professor at a predominately white southern university. In addition to chairing the Department of Sociology from 1959 to1964, Dr. Parrish also was instrumental in founding the Southern Police Institute, one of the first professional training organizations for police in the South. His research on the African American community had a significant impact on the desegregation of schools in Jefferson County, Kentucky. In 1966, Dr. Parrish received the Ottenheimer Award. This award for “distinguished and unselfish service to the community of Louisville” was given to him for his work in race relations, the war on poverty, and other public service. In 1977, Parrish Court on Belknap Campus was dedicated and named in his honor. Professor Parrish was known by all as a consummate scholar, author, teacher, administrator, community activist, civil rights leader, and friend. 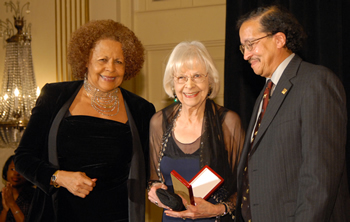 Dr. Charles Parrish's A&S Hall of Honor medallion was presented by Dean J. Blaine Hudson to Dr. Parrish's daughter, Ursula Parrish (left), and his wife, Frances Parrish.